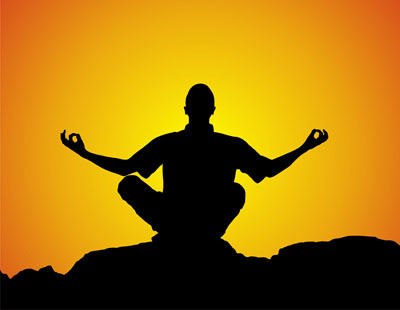 Some in the West believe meditation is a modern technique introduced during the 1960’s and 1970’s. The fact is that ancient Hindu records of meditation go back as far as 5,000 years. The origins of Buddhist meditation are unknown, though it is said that the Buddha reached enlightenment by meditating under the Bodhi tree around 2,500 years ago. As a Buddhist, meditation is part of my regular routine. There are many forms of meditation, though a recent study conducted by the University of Oslo in Norway states that all forms of meditation fall into one of two groups. One group is concentrative meditation, in which the practitioner focuses their attention on a single object which may include a sound, or a visual image such as a candle flame, or a physical sensation. Essentially focusing on the object to block out other thoughts. The second group is nondirective meditation. In nondirective meditation, the practitioner focuses on breathing or a meditative sound, but are allowed to let their mind wander at will. The study assessed brain activity via an MRI in 14 experienced practitioners of Acem meditation in two experimental conditions. In the first, nondirective meditation was compared to rest. Significantly increased activity was detected in areas associated with attention, mind wandering, retrieval of episodic memories, and emotional processing. In the second condition, participants carried out concentrative practicing of the same meditation technique, actively trying to avoid mind wandering. The results support the use of nondirective meditation by higher activity in the right temporal lobe which involves more extensive activation of brain areas associated with episodic memories and emotional processing, than during concentrative practicing or regular rest. In Buddhism there are just as many forms of meditation as there are sects. I practice Tibetan Buddhism, which can be either concentrative or nondirective, though concentrative is the more common practice via chanting. During my practice you’ll typically find me on the floor chanting our most common mantra “om mani padme hum.” I do, however, participate in a weekly meditation group in which we practice nondirective. I’ve always preferred chanting because my mind does not wander like it does during silent meditation. According to this study I may be missing the point. The study indicates that nondirective meditation allows for more room to process memories and emotions than during concentrated meditation. This area of the brain has its highest activity when we rest. It represents a kind of basic operating system, a resting network that takes over when external tasks do not require our attention. It is remarkable that a mental task like nondirective meditation results in even higher activity in this network than regular rest. Personally, I’m surprised by these results. The process of chanting helps me focus on the chant and avoid outside stimuli. Having bipolar disorder makes me especially susceptible to what we refer to as “monkey brain.” In otherworld’s, I have a hard time overcoming the chatter that goes on between my ears. Chanting puts me in a zone of complete concentration on one thing. Upon completion of the practice I feel in a relaxed meditative state. I will admit, however, that after nondirective silent meditation, I do achieve a state that could best be described as blissful even though I can be distracted by the outside world, such as dogs barking or cars honking. In conclusion, Davanger says that given the popularity of meditation and its associated benefits, it is important that the team determines the underlying mechanisms of the practice. As for me, I plan to continue to chant as my primary form of meditation, though I’ll likely start to mix it up a bit. Focusing was developed mostly by Eugene Gendlin. He was a pscyhotherapist who, along with Carl Rogers and other colleagues, did research in the 1960’s to try finding why some people in psychotherapy had positive changes, while others did not (sometimes even after years of therapy). They found that those who did have positive changes would talk differently (at least during therapy sessions), and often stop to reflect; they then looked for ways to teach people this different, reflective, way, and they called it “Focusing”. I work as a computer programmer myself. Some people find Focusing helpful, others don’t (and in any case, it’s not a substitute for therapy or medication) but I just wanted to tell you about it.